If you've decided to invest in silver, congratulations; it's been a reliable place to keep money for centuries and right now it's doing as well as ever. You still have some choices to make though. It's not as simple as just walking into a shop and saying “I'd like to buy some silver.” You need to work out exactly what type of silver suits your plans best. For most investors that's going to be silver bars, because they're easily stored and always in demand. If you want to get the best return on your investment there are a few things you need to know, however. If you end up buying the wrong type of bars you could seriously lose out, so you need to understand the options and how they fit into your plans. The first thing you need to keep in mind is that silver bars always sell for more than the actual metal value they contain. Most of the difference is made up from production and handling costs and the style of the bar itself. If you understand the types of bar available you'll be able to work out what ones suit your aims. 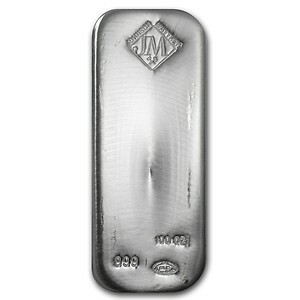 Silver bars come in a wide range of sizes. Most of them are based on troy ounces although some mints do make them in grams and you can also find imported bars sized in metric units. The most common sizes are 1oz, 5oz, 10oz and 100oz; these make up most of the market. Some mints also make less standard sizes - ½oz, 2oz and 50oz are all available, as well as the very large 1000oz size. No matter what size of bar you look at you'll find that there's a price premium over the spot price of the equivalent weight of silver. To make an effective investment you need to keep that premium as low as possible. In general the premium increases as bars get smaller, although there are exceptions. That's because it doesn't cost ten times as much to make a 10oz bar as it does to make a 1oz one, so ten of the smaller bars will cost more than a 10oz will. In fact the actual difference is very low – a 1oz bar costs an average of about $2 more than the spot price of an ounce of metal, but for a 10oz bar the premium is usually about $2.50. So far the way ahead seems simple – buy the biggest bars you can. That might not always be the best solution though. What if you want to sell off part of your silver holdings but you're the proud owner of a single 1000oz bar? At times like this smaller bars have an advantage; If you have ten smaller bars you can easily sell off part of your investment. If you think that's something you might want to do it could be worth going for some larger bars plus an assortment of smaller ones to build in a bit of flexibility. 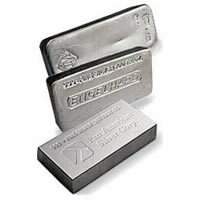 There are many different producers of silver bullion bars and, like any other product, their prices will vary. Some mints charge more of a premium over spot price than others. If your plan is to simply buy as much silver as possible you'll probably want to avoid those and seek out mints with a low premium. On the other hand bars with a high premium usually also have a higher resale value. That might not always be true in the future, but if you're planning a short term investment it's something you might want to consider. Some buyers develop brand loyalty to a producer and are happy to pay a higher premium to accumulate bars from that mint. One useful strategy is to keep track of which bars sell for the highest prices and try to acquire them. They're likely to be in high demand and you can make a good profit selling them on. If you buy silver bars new they will come in sealed packaging to protect them. Secondhand bars usually won't be sealed, because dealers inspect them to make sure they're genuine and haven't been tampered with. This means that as long as you buy from a reputable dealer you're safe buying secondhand bullion. There are advantages in doing that. Most buyers like to own new bars in perfect condition, but if your aim is to build up the maximum weight of silver you'll find that secondhand bars are normally much closer to the spot price. Most bars are rectangular, but not all. Round and triangular shapes are also available, and what you opt for is purely a personal decision. Of course one reason for the popularity of rectangular ones is that they're the most efficient shape to store – they're easily stacked and there isn't much wasted space between bars. Other shapes can have their own advantages though. Round ingots are usually shipped in tubes, which make handy storage containers. The typical silver bar has some detailing on it – they're not just slabs of metal. Usually as well as the weight and purity markings there will be a mint logo. Very often it's these logos that attract investors and account for the higher premium some bars carry. Some bars go a lot further than a simple logo, however. These are known as “art bars,” and they're often produced to mark a special occasion. They have a much higher premium than standard bullion bars and many of them are highly collectible. In general art bars aren't recommended as an investment. The aim of investing in precious metals is to accumulate the largest possible holding to profit from increases in the spot price. Once you start chasing collectibles you move away from that aim, and in the long run you probably won't recover the premium you paid for them. Once you add all these factors together there are hundreds of possible options available, and the ones you decide on will depend on your personal investment aims and the amount you're able to spend. In general we recommend standard silver bars in a mix of sizes. This will give you a solid start in the silver market, and as you gain experience you can refine your purchases and sales to get the results you're looking for. Most investors find they never stop learning, so don't worry if you don't know every detail of silver trading when you start. Just learn the basics and you'll be fine.